If you’ve been around Proverbial Homemaker for any length of time, you know that I am domestically challenged. I am the last person I would ever have expected to see become a wife, mom and homemaker. I have been on this homemaking journey for just 10 years now and let me tell you… the learning curve is steep, my friends! If you are domestically challenged too, I get you. I know that sometimes you feel like a failure and get frustrated with yourself. Perhaps your challenges are mostly external and seem insurmountable some days. 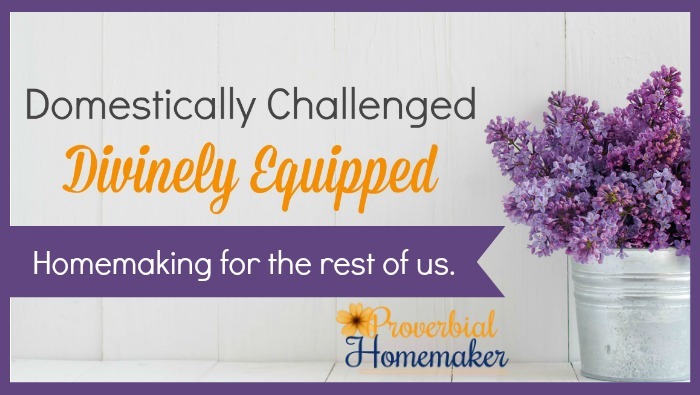 You might feel a little deficient around the other homemakers in your circles, and too often go to bed with the weight of everything that didn’t get done (and may never get done) bearing down on you. I’m here to tell you, dear women: If you are following God in your homemaking, you will be divinely equipped for the task He has called you to! First thing’s first: Pray over your homemaking. 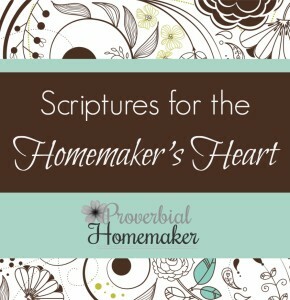 I have created these homemaking scripture cards and art prints for you specifically for this purpose. 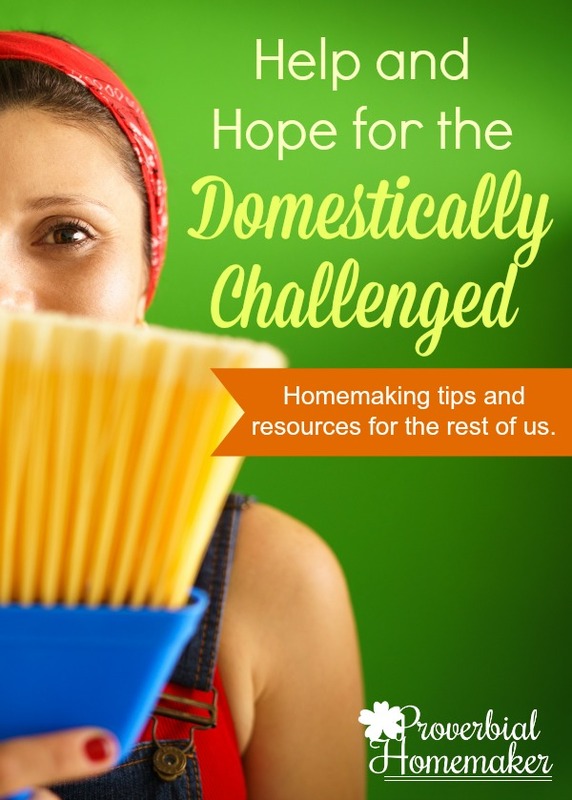 I tell you, it has been the thing that has made the MOST difference in my homemaking. Look at your home and the environment of your family life for what it is: a precious ministry given to you from God. You are nurturing the environment of eternal relationships within those walls! Cast your eyes around and see what vision God will give you for the home He has gifted you in this season of your life. The comparison trap. We all know it, right? Whether it’s a blog post or Pinterest or our friend Suzy Homemaker who can simultaneously nurse a baby, make a cheesecake, teach multiplication, lead a Bible study, and sew blankets to send to people in Africa. While wearing a cute apron. All with perfect hair and makeup. Yeah. My homemaking will look different from yours. That’s just reality. We can remind ourselves of our unique journey and circumstances and just enjoy each other! I can rest in the hospitality of a friend whether her house is a mess or pristine and not feel like I’m failing. How? By reminding myself of all the things above. The Bible says “Godliness with contentment is great gain.” In the context of homemaking, this tells me that I can be content with my journey and where I am now, knowing that God is working on me and shaping my homemaking into what He wants it to be… if I seek Him in it. We want our homes to be joyful places. We want there to be laughter and peace, grace and kindness. We want it to be a place where our families and all who enter feel comfortable and, well… at home! Creating a joyful home isn’t about donning our Martha Stewart facade and turning everything into a magazine cover. Instead of trying to make things perfect, think about the things that can increase the joy in our homes and start on those first. What is one thing YOU can start working on today? Practicing homemaking is like practicing the piano. We don’t expect someone to sit at the piano for the first time and play perfect Mozart, do we? We don’t beat ourselves up because we can only play Twinkle Twinkle Little Star. Instead, we identify where we can improve and practice. 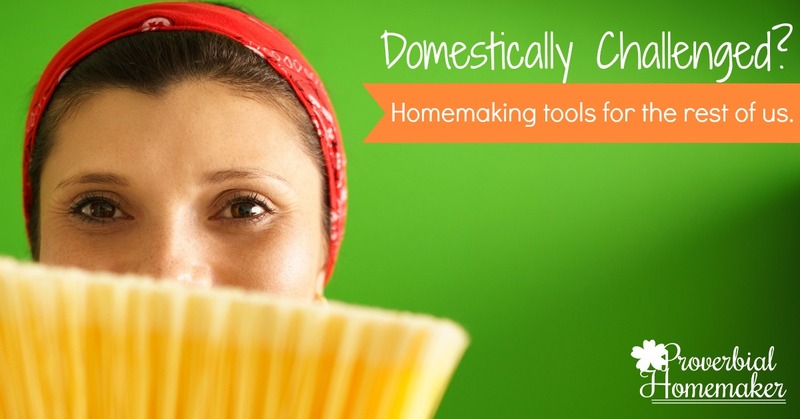 Find some great tools that you can use to practice homemaking and put them to work for you. If you’re like me, it takes some searching and trying (and re-trying) different tools until you find what works for you. But DO IT! It’s worth the effort to find that system that clicks for you. 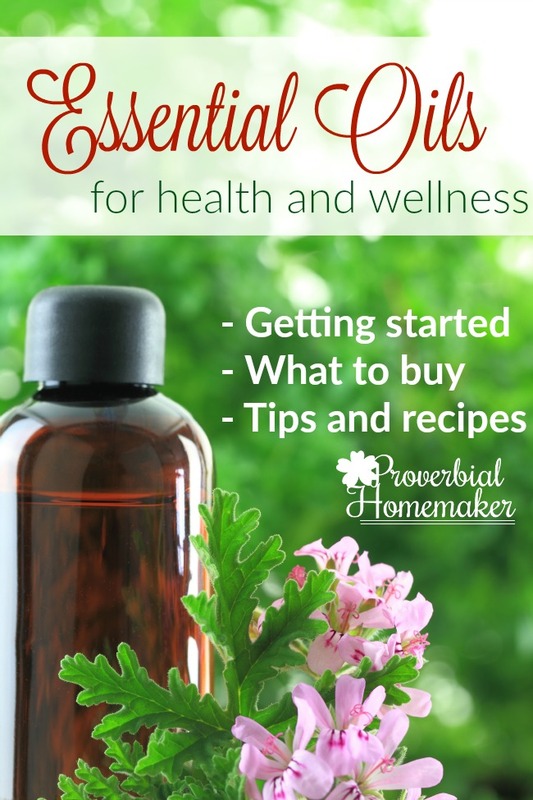 Here are some resources right here at Proverbial Homemaker to help you on this journey. Overwhelmed by the chaos and the clutter? Ready to get a handle on your daily work? 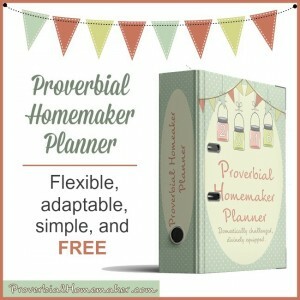 The Proverbial Homemaker Planner & eCourse is simple and flexible homemaking system to help you organize your daily work. It is just what you need to help bring peace and order to your home! 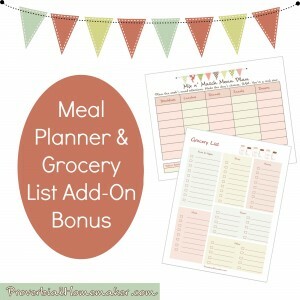 Download this FREE menu planner and grocery list that gives you more flexibility than the average meal planner but still keeps you organized! Once a week we hold a Home Blessing Day! 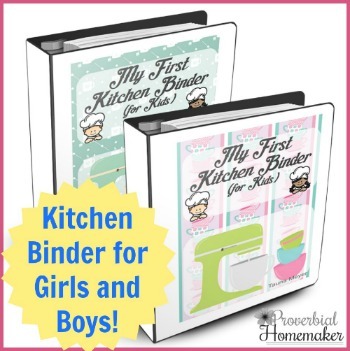 It’s a great way to catch up on the housework, add warm touches to our home, and teach the kids in chores and Home Ec. tasks. 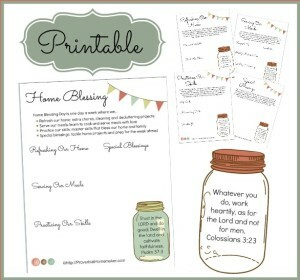 Check out how we do it and download the FREE Home Blessing Day planner! This is a list of my all time favorite items for homemaking – perfect gifts for the busy homemaker in your life (or maybe just for you)! Download a planner to help you get some spring cleaning done (or any time of year, really) in just 6 weeks! This is a flexible plan that you can actually accomplish! Tea time. Tea/Coffee + 10 minutes praying over scriptures = re-set. I suddenly have what I need to get through the day. Brain dump. Take 30 minutes and do a brain dump on paper of all the things you want to get done. Group things, pray over things, pick the top 7 and more than likely you’ll have a little direction. Wise words. 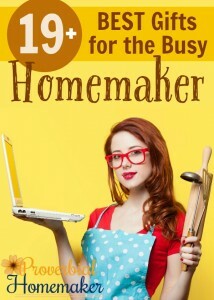 Find some wisdom in other homemakers who have been there and you will find great perspective. Be reminded of why you are doing this gig in the first place, Who to set your eyes on, and practical tips to chew on. A shot of joy. What’s more invigorating than turning up worship music in the middle of the day?! Hit pause and bake some cookies with your kids. Or get away from the house for a while and spend some time at the park or on a nature walk. 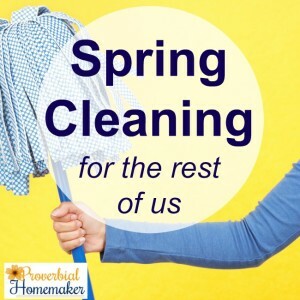 Next to prayer, the best thing that’s ever happened to my homemaking is the support and accountability of others who are also seeking God in their own homemaking journey. We want to share that with you today! 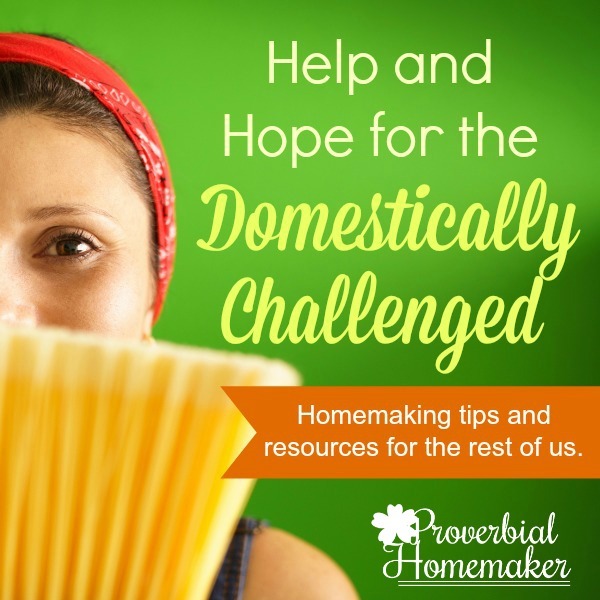 Join our Facebook group Domestically Challenged, Divinely Equipped! We are a group of Christian women who encourage and support each other in following God’s call no our lives as homemakers. No matter what age or stage of life you are in, you will find accountability and support there! 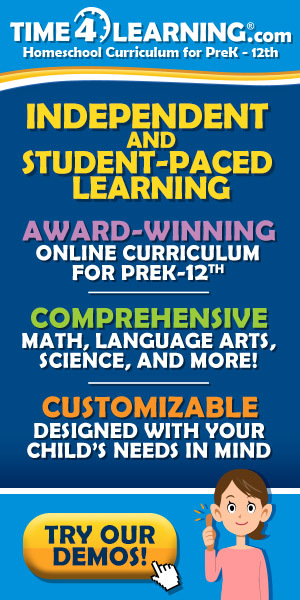 All the Tools & Resources You Need! There was nothing there to enter the giveaway. Is it only for your facebook group? Sorry about that! If rafflecopter isn’t loading, you can enter here >> http://www.rafflecopter.com/rafl/display/7d587e1278/? I’m still unable to find it (I’m on my phone, if that makes a difference).